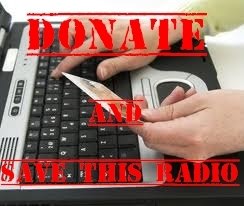 sau dand un click pe butonul "Donate" aflat mai jos. Acest stream radio functioneazã doar pe internet aflàndu-se in regim privat. nu permite downloadul muzicii difuzate (linkul pentru "Buy" nu este al radioului). fãcànd astfel un act de cunoastere muzicalã. ce vrea sã-si facã cunoscute proiectele muzicale. in partea de jos a acestei pagini. This stream radio works on the internet only and it's private. (notice the link for "Buy" it does not belong to the radio). today, and at the same time it tries to broaden their musical knowledge. It also promotes, freely, any artist or band that wishes to be acknowledged for their musical projects. For further details contact the radio's webmaster with a simple click on his name at the bottom of the page.